How young and brave we were then. The year was 1980. Brian McInerney and I thought it would be such a breeze to establish a new magazine. No one told us then that nine out of ten magazines in Australia fail financially. No one told us then that no unsubsidised arts magazine had ever succeeded in the limited Australian marketplace. No one told us then that even the subsidised ones had failed. We thought we were so damned smart. For Dance Australia we set up a cooperative based on another magazine called Architecture Australia. The plan was that, after we paid printing and production expenses, we would divide the income according to the formula we extracted from Brian Zouch, my friend who published Architecture Australia. Such and such a percentage for writers, such and such a percentage for photographers, such and such a percentage for graphic artists, such and such a percentage for management and so on. The problem was that for the first issues, we did not even meet printing and production expenses. No one received anything. And who was to pay the debts? Tension ensued, big time. As luck would have it, I had just published a successful book. So I put the proceeds in to pay the debts. This, by agreement, made me the owner, but I still ran it as a cooperative. Three times we nearly went broke. We understood nothing at first. But we learned fast. But back to the very beginning. Memories. Andrew Guild from the entrepreneur Michael Edgley International said he would give us an advertisement for the first edition but he had no shows going on at the time. I remember weeping with gratitude when the first half page ad came in simply saying “Michael Edgley welcomes Dance Australia”. Edgley’s never did anything from that day on, that we did not find an excuse to write about. Publishers get their prejudices. “I’ll take a full page,” she said. I never forgot that either. To you, the reader, it was all about Dance. To me, in the first few years, it was all about financial survival. As we began to claw our way to financial success, I started to enjoy “the dance”. I think the greatest satisfaction we gained was that we were recognizing Australian artists. I do mean the dancers, but I also mean photographers, writers, designers, composers and choreographers. Many of my own writers ended up writing for major newspapers – Pat Loughlin, Blazenka Brysha, Lee Cristofis. We already had the Walkley award writer, Pamela Ruskin, who wrote many articles pro bono and only took a fee when we had the money. Emma Manning, our London Correspondent, came to Australia, studied how we put the magazine together, went back to the UK, produced an English supplement for Dance Australia, and ended up publishing Dance Europe in two languages. As far as I know she is still doing so. The pioneer Dance Australia team forged some wonderful friendships among themselves, and with the artists they acknowledged. They still exist. I recently had dinner in New York with Mark Kappel, our original USA correspondent. Our main brief was ballet, neo-classical and “modern” dance, but we also supported ballroom and other forms of Dance. Impressed by their youthful artistic genius, we gave ballroomers Jason Gilkison and Peta Roby a full feature article, cover page, and centre page spread. Jeff Busby took some wonderful photos to accompany a wonderfully written article by Christina Ratcliffe. Gilkison and Roby used the article (magazine returns from newsagents!) to send their story all over the world. This manouvre resulted in invitations to Britain, China and many other places. They gained great prominence and went on to win the British and World championships. They were open in their acknowledgment of the magazine’s contribution to their success. Another boast we have is that we were the first, I believe, to publish articles on anorexia nervosa and bulimia — exposing a serious problem, which existed among young dancers and students. We campaigned against unqualified teachers harming young bodies, and corruption and unbalanced favoritism in the Australia Council. (Goodbye to grant money!). Dr Ron Quirk wrote regular articles on dance injuries, stunning in their clarity, which he illustrated himself. Memories. There were two Dance Australia general tours. The first was to the Soviet bloc and another to the USA. But another trip that lingers in my memory the most was of “the gang of five” who, in 1985, took on the challenge of the Fifth International Ballet Completion in Moscow. With a striking Tarantella choreographed by the late Walter Bourke programmed into their dance bodies, dancers David McAllister and Elizabeth Toohey, coach Kelvin Coe, international Judge Dame Margaret Scott, and writer Dally Messenger broke through the Iron Curtain into what was one of the most interesting and memorable experiences of my life. The competition went on for several weeks and there was a drama almost every day. Popular contenders McAllister-Toohey became the talk of the city, and won the coveted pas-de-deux to great acclaim. As one of the Australian team I was feted, dined, and celebrated by the then greats of the dance world. Dance Australia, I thought to myself, had been worth the effort. Memories back in Oz. Dame Peggy van Praagh took me out to dinner and asked me to name the most talented dancer in Australia at the time. I protested that I was merely a chronicler and not a critic. My opinion would be of no consequence. That was good for my self-esteem. I had many personally entrancing moments. At the end of my ten years as editor I had probably attended more Giselles than any other person in Australia. 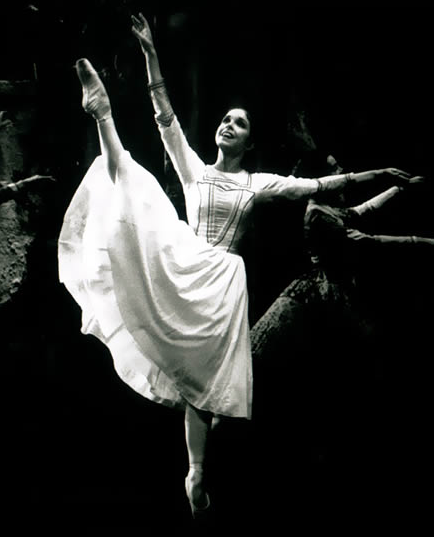 My most memorable by far, was Freddy Franklin’s Giselle performed in Cincinnati, Ohio at the same time as Australia won the America’s Cup. I left Dance Australia with some huge satisfactions, which made those ten years worth while. We had chronicled, with love and dedication, a great period of development in Australian Dance. I know that by doing so we boosted, not only the art form itself, but the life of the performing arts in Australia. I speak on behalf of my originally pioneering team, when I boast that we produced successfully the first truly independent performing arts magazine in Australian history. There are so many other memories. Thank you David Yaffa for picking up the ball when the exhausted pioneers could do no more. That is my final satisfaction — I passed it on to the right people.